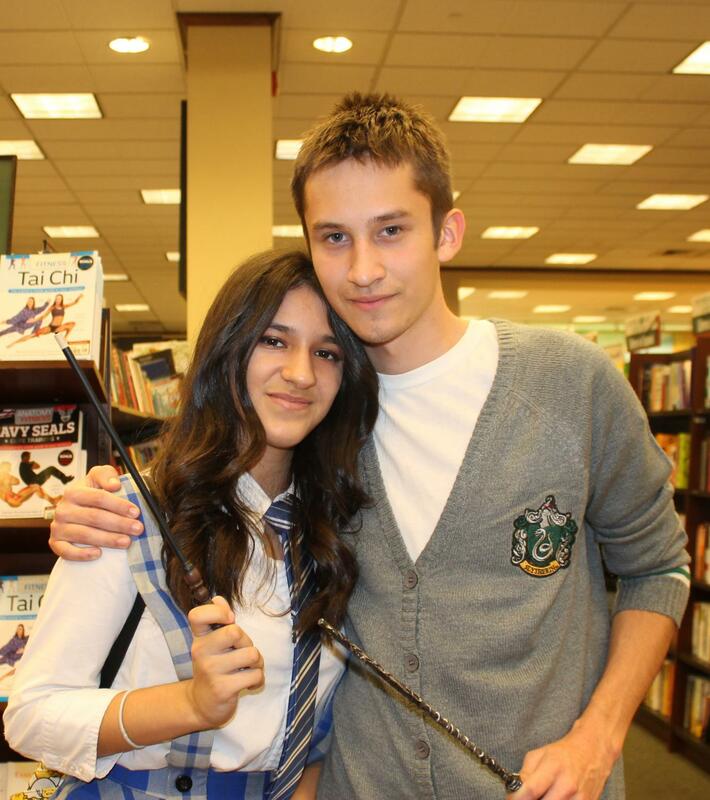 Mayra Lopez and Neil Zuazo attend a Harry Potter celebration dressed as book characters. 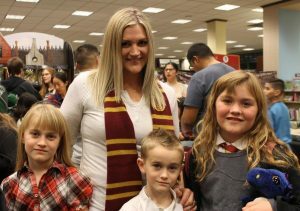 Hundreds of Bakersfield locals gathered at Barnes and Noble for the 20th anniversary of “Harry Potter and the Sorcerer Stone,” the first book in the widely known series. This was one of the first events out of three that will be occurring this year, and a variety of ages were seen enjoying the magical experience with their families and loved ones. Fans were dressed as their favorite characters and were seen in the colors that corresponded to their house. Jessica, Megan, Emma, and Cash Livingston attend Harry Potter Book Night at Barnes and Noble dressed as their favorite characters. As the event began at 6 p.m., fans were able to enter a raffle to win a Harry Potter poster. Soon after, fans stood in line for the Sorting Ceremony. Anyone who has at least seen the first movie can envision what this was like for fans, as they crossed their fingers hoping to get into one of the four Hogwarts houses they favored. There were fun trivia activities for fans after they were sorted, and competition was fierce for the teams. Children had their own activity table for crafts and coloring. The love and dedication Harry Potter fans had was shown through their creativity and determination during these activities. In the sea of wizards and witches, there were two friends who have been huge fans of the Harry Potter series for years. Julianna Mullen and Fatma Ali explained the love they have for the book series. “I started it when I was in elementary when I first moved here, and I didn’t really have a lot of friends, so I got my first friends through Harry Potter,” Mullen said. “They are also easy to read and enjoy, even for people who don’t really like reading, and they are relatable,” Ali said. 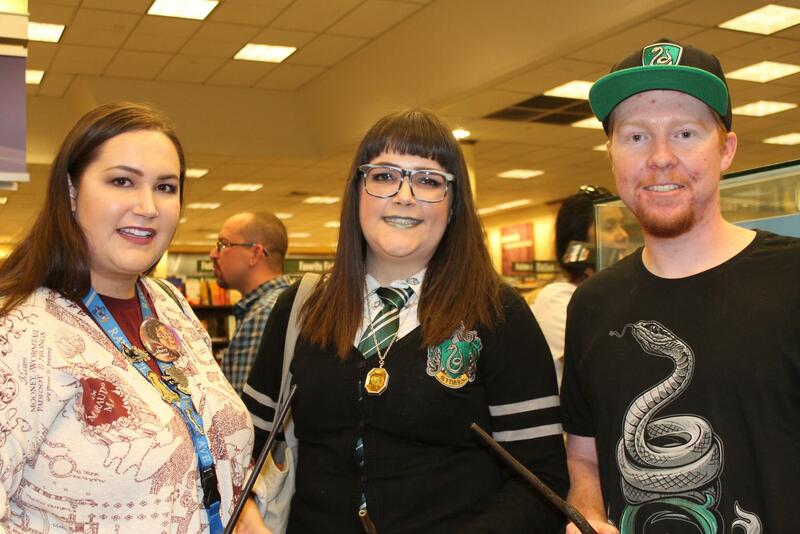 Sequoia Chesier, Cedar Parrot, and Mark Caldwell attend Harry Potter Book Night at Barnes and Noble bookstore. Mullen expressed that she was a Hufflepuff and Ali also mentioned she was a part of the Gryffindor house. Ali explained that she loves meeting fans from the same house, along with fans from other houses. 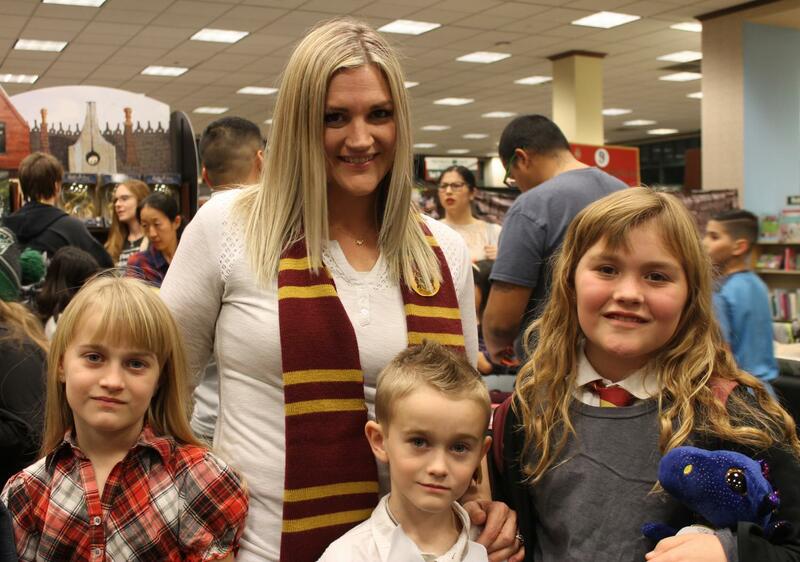 Mullen added that it was nice to see a lot of kids attending the event because the Harry Potter series came out when she was a kid and it’s nice to see the tradition still going. She mentions that the books are brilliantly written and it’s like escapism with magic and wonder. The event was held until 9 p.m. and fans did not hesitate to stay the entire event. 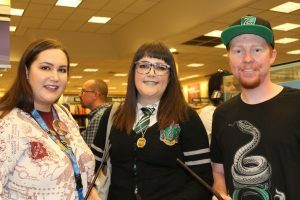 Be on the lookout for future Harry Potter events, there are two more expected to happen this year at Barnes and Noble.